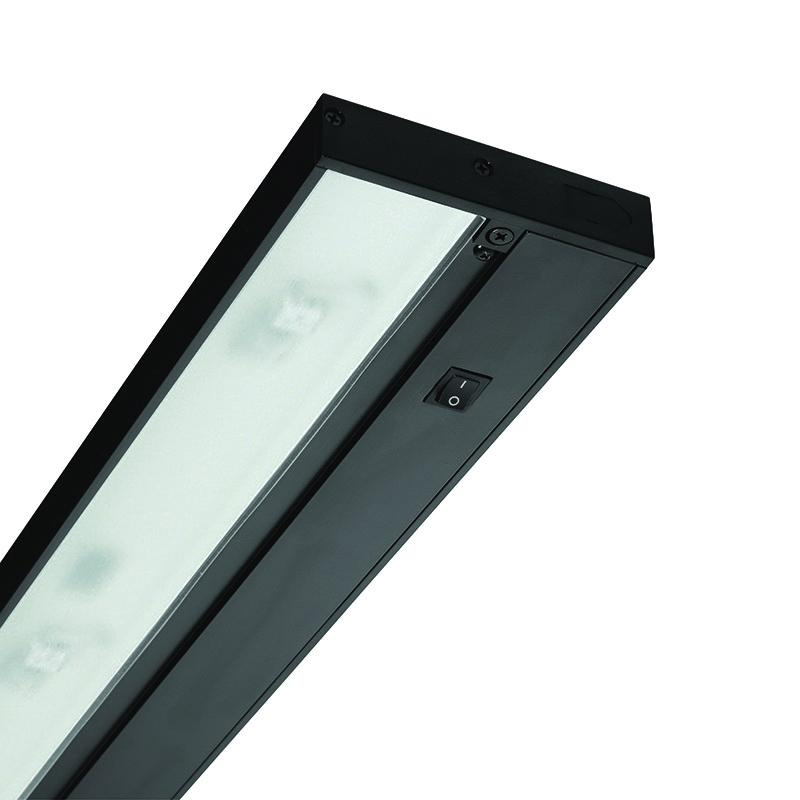 Juno Lighting UPLED Collection Pro-Series Undercabinet lighting employs 8.1-Watt high-efficiency LED lamp with average life of 50000 hours to deliver light of brightness 454 Lumens. LED Lamp has color rendering index of 80 and color temperature of 3000K. It has voltage rating of 12-Volts. Dimmable lighting in black finish, has extruded aluminum construction for longer endurance and clear prismatic tempered glass lens for superior lighting performance. It measures 22-Inch x 4-1/2-Inch x 1-Inch. It works with integral electronic constant current driver for reliable performance and supports captive screw mounting for making installation easier. Lighting comes with ON/OFF rocker switch. It is ideal for use in damp location. Lighting is UL and cUL listed.